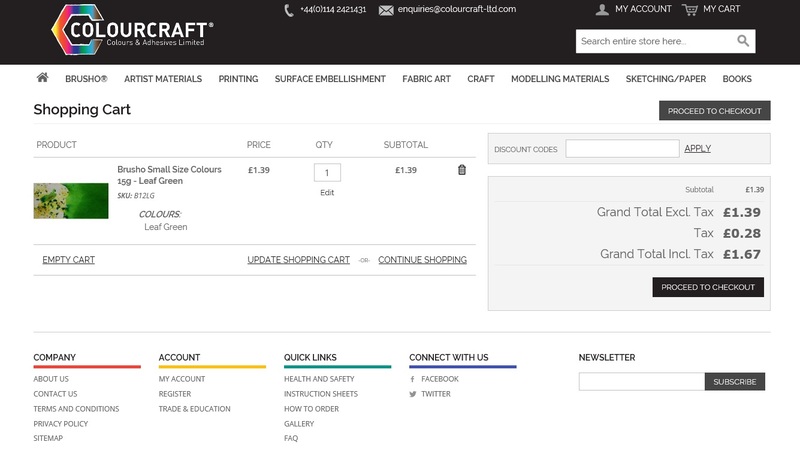 How to Order | Colourcraft Ltd.
Firstly, browse our store for the items that you wish to purchase by clicking on the product names listed at the top of the page. 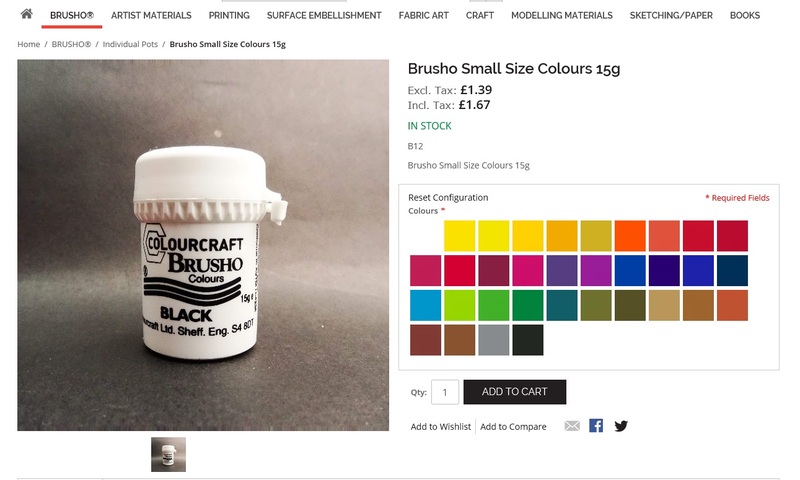 Once you have found a product, click on the colour first then select the size required. Click on the ‘ADD TO CART’ button. This then saves the item in your online shopping cart so you can either continue shopping or go to the checkout section. 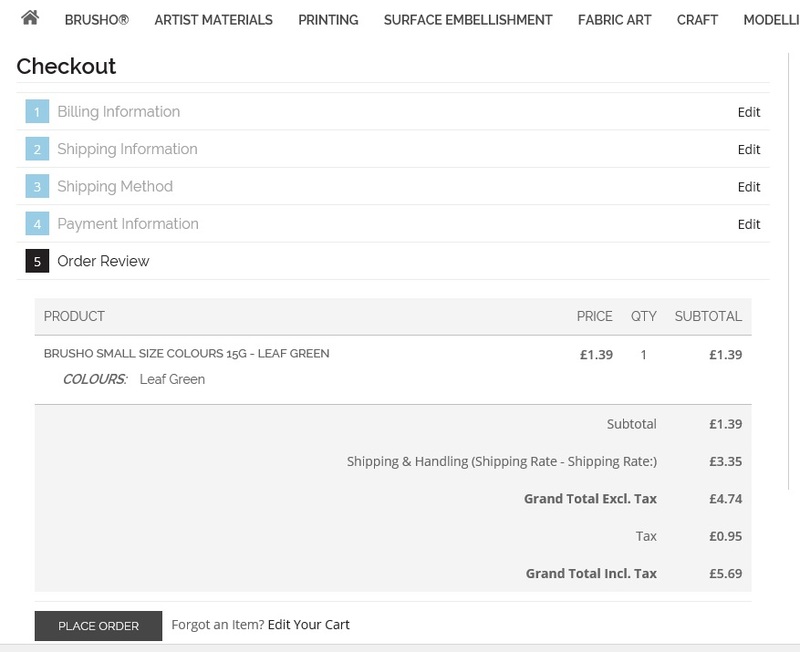 When you have put your order together, you can then select to ‘PROCEED TO CHECKOUT’. You will then be given two options. If you have ordered on our new website before, simply login using your email address and password. If you are a new customer to us or if you ordered on our old website, you will then need to set up a new account. You will then be taken to the checkout screen where you will work through 5 steps. At the end of each one, click ‘CONTINUE’ to proceed to the next step. 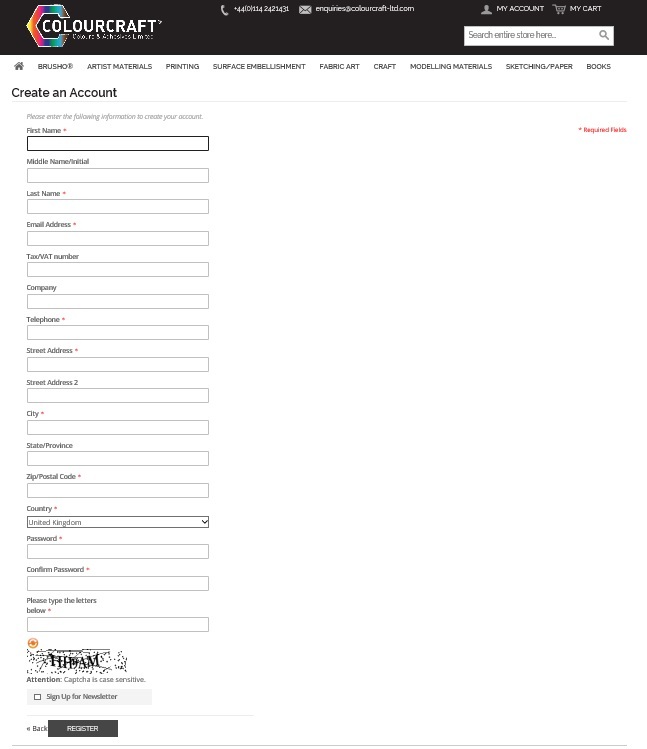 Firstly, you will be given the option to input a different delivery address. The website will then calculate the shipping costs in step 3. Postage is determined by your location and the weight of the order. The next step is a message about the payment stage. Once again click ‘CONTINUE’ to load your order review, when you are happy to proceed click ‘CONTINUE’ again in step 5 to be re-directed to our secure payment gateway powered by Barclays. Finally you’ll be taken to the payment page where you can enter your card details. Once this has been done, your order status should change to 'Processing'. If it still says 'Pending', then payment won't have gone through. Your order will then be complete and passed onto our production team. If you have any difficulties then please let us know.